On April 28, 2003, Apple launched a new iTunes Music store for the United States. The store would sell music files from artists around the world, and has grown to be one of the most popular digital delivery systems to date for purchasing music. That date, 13 years ago this week, also marked one of U2’s first forays into digital sales, and they made a number of albums available from their catalog when iTunes launched. But they also made an exclusive three song EP available simply called “Exclusive”. To mark that anniversary we’re looking back at the digital releases and U2’s digital releases. Most people associate U2 with the 2004 launch of “Vertigo”, their iTunes commercial and the launch of U2’s own iPod. But prior to that U2 was involved in the iTunes music store. The day the store launched, U2 contributed a three song exclusive EP to the store. This EP was simply called “Exclusive“ and featured three tracks, an acoustic version of “Stuck in a Moment”, and two live tracks taken from the Boston 2001 home video release, “I Will Follow” and “Beautiful Day”. None of these tracks was truly exclusive having appeared on releases of singles from the “All That You Can’t Leave Behind” campaign. 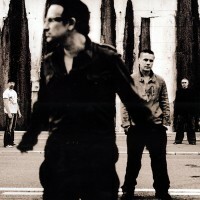 It did come with a unique ‘cover’, a picture of U2 in black and white which had been planned for use for the single “The Hands that Built America” but had gone unused when that single was never released. The EP was a huge success, and after the first week of downloads, three of the top six most downloaded songs from Apple’s iTunes store were these tracks from this exclusive EP. The tracks remained in the top 10 for several weeks. Sadly, this exclusive EP is no longer available for purchase. The next release from U2 saw them release some live tracks through iTunes, but to also branch out and let Walmart.com have one of these tracks for sale. These releases were done when the Slane Castle home video was released, and were done to promote that release. iTunes in the USA got “Beautiful Day“ with a unique cover. Both iTunes and Walmart.com in the USA got versions of “Elevation“, also taken from the Slane release. The iTunes format was in their usual m4a format, and the iTunes version was in .wma format. These were the first songs released by themselves as single tracks, and U2 has returned to that concept a number of times. When the “Vertigo” tour video was release from Chicago, they once again released a number of live audio tracks from these releases. And when the deluxe version of “U218 Singles“ was released with a bonus DVD from Milan, the digital retailers instead got live performances released in audio formats. Much of the unique digital material U2 have released over the years have been live performances. The set was initially released in 128kbps quality, but an offer in 2009 allowed users to upgrade the set for a small fee to 256kbps quality. The entire set was removed from the iTunes store on December 20, 2007, and it is no longer available for purchase. A number of the songs in the set were available only as part of the set and are thus no longer available. The new material in the set was broken into a number of albums. “Early Demos“ contained three songs from one of U2’s earliest demo sessions, “Street Missions”, “Shadows and Tall Trees”, and “The Fool”. “Love: Live from the Point Depot“ included U2’s famous performance from the Point Depot in Dublin on December 31, 1989. “Live from Boston 1981“ contained another live performance, this time from Boston’s Paradise Theatre performance on March 6, 1981. A final album called “Unreleased & Rare“ featured a number of harder to find tracks mixed with outtakes and studio demos that had never been released before. Each of these digital albums featured unique digital artwork designed by Steve Averill and Shaughn McGrath, U2’s long time design team. I was lucky enough to have been able to help Apple and Steve Averill with the digital box set. 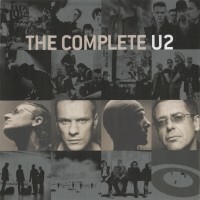 The inclusion of a massive “digital box set” was a late decision and pressed for time the designers approached us at u2wanderer.org about working with them on some of the scans to be included with the tracks. If you bought the box set, some of the artwork with those files comes from my own collection. It was a wonderful chance to see the inner workings of the organization and how things go from concept to final product in a very short time frame. Live 8 was a massive concert held in Wembley stadium and other venues around the world in 2005. U2 participated and one of the songs they performed was “Sgt. Pepper’s Lonely Hearts Club Band” with Sir Paul McCartney himself. But within minutes of U2 performing on stage, a live single was made available for sale. Spokesperson Ben Drury from 7 Digital talked about the creation of the digital track for “Sgt. Pepper’s”: “I received the audio from a runner. This guy literally ran from the gig to St James’s Square with a CD. We uploaded it and programmers did their magic.” The song was released through 7 Digital as well as other services like iTunes worldwide. And as of the week of release “Sgt. Pepper’s Lonely Hearts Club Band” was confirmed as the fastest selling digital song of all time. It was also listed in the Guinness Book of World Records for the “Quickest Single Put on Sale”, available online only 45 minutes after the performance of the song. A personal favorite for me is the “Live from Paris” digital album. 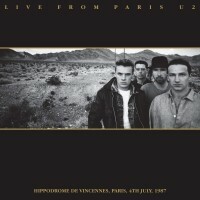 When “The Joshua Tree” was released in 2007 all freshly remastered, a third disc was included in the deluxe set, a DVD of U2’s 1987 concert in Paris France. 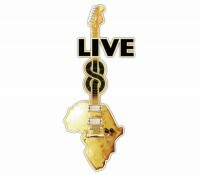 Not to leave digital retailers out, “Live for Paris” was also mastered for an audio release, and was released at iTunes. Many of you are probably familiar with that release, but more recently it’s also been released through a number of retailers selling uncompressed audio. It’s a beautiful sounding release, even if a few songs were left out because of rights issues. 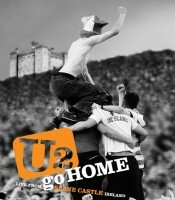 The release reached #54 on the U2 Billboard 200 charts in the week after its release based on digital sales alone. A unique cover was designed to accompany this release on iTunes using a photo outtake from the desert sessions photos by Anton Corbijn. U2 is still releasing digital music. But perhaps this one was unintentional. On September 4, 2015, a single for “Song for Someone” appeared on the streaming service Spotify. Subscribers to Spotify could listen to but could not download the single. 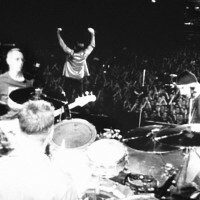 The single included the new single edit of the track, remastered by The Edge, but it also contained a live version of the song taken from U2’s performance in San Jose on May 18, 2015. The song was intended for streaming only but somehow found that it was also released in one storefront in the Czech Republic. The site, supraphonline.cz made the tracks available in mp3 format (320kbps) and flac (uncompressed). Other digital stores in Europe did not carry the tracks, so this was made available in error. The version listed at this store contained the UPC of 00602547576224. Speaking with Universal in Europe, it has been confirmed that this was not intended for sale, but to date it is still available on that site. 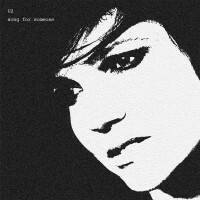 The version of “Song for Someone (Radio Mix)” here is slightly shorter than the version found on the promotional CD by about one second, as some silence at the start of the track has been removed. This mix for radio was mixed by The Edge, most noticeably, the entire song is mixed hotter, with more compression, for radio. Also Edge’s backing vocals are a little louder in the overall mix. This lead to Bono joking that the mix was pretty much unchanged. The live performance is a pretty standard performance of the song. In an age where most things are streaming only, and CD singles are no longer being produced, it was amusing to realize that this one snuck out in a digital world in an unintended way. This just scratches the surface of the digital releases from U2. As the years have gone by they have played with the format, released a number of exclusive songs, and have actually worked on a number of solo projects that have been released in the same manner. We keep a full list of digital releases here at u2songs.com at our Digital Release page if you`d like to take a look through some of these other projects. They are all collected there for you to browse. If you know of any unique digital releases we have missed, we would love to hear from you.